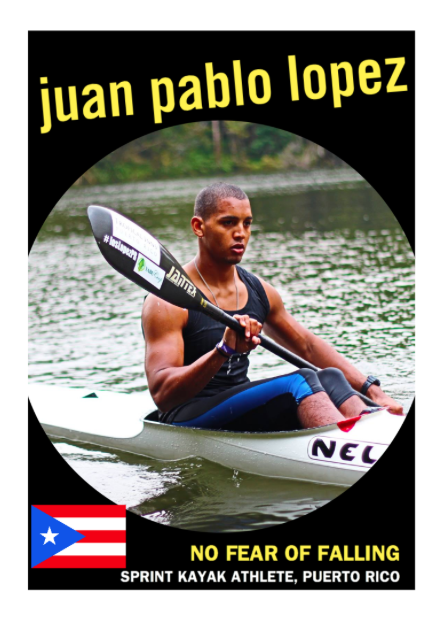 In this episode, we head to Puerto Rico to talk to JUAN PABLO LOPEZ, a Sprint Kayak Athlete who is currently raising funds for training and competition fees using MAKEACHAMP; and is aiming to become Puerto Rico's first ever Sprint Kayak Olympian at the 2020 Olympic Games in Tokyo. He fell in love with the sport quite late in life, deciding to put on hold a college scholarship to play soccer to push himself and see where he could end up. So far, it has led him to becoming the National Record Holder in all competitive distances, to training in Poland with one of the country's strongest canoe clubs, and has instilled in him a iron will and determination which seems to be very difficult to break. This determination and will have been tested though, especially in regards to the measures he has taken to continue training and competing with limited funding. But throughout these difficulties, he comes across as someone who knows that he can push through anything through working hard and pushing himself. We talked about his journey to get where he is now, living and training in an entirely different culture, his love for Poland (he's the unofficial ambassador to Poland for Puerto Rico :)), and how there is no substitute for working hard when dealing with failure and its after effects.